Spring has sprung and so have the visitors and what do they see? Beaufort County's roadways covered with tons of trash. Literally. In 2018, county Adopt-A-Highway volunteers picked up more than 5,895 full bags or 88,000 pounds - 44 tons - of litter from the roadsides. Beaufort County Litter Control Supervisor Artrell Horne said there are 103 active Adopt-a-Highway groups in the county. "They have been the frontline force, picking up litter in Beaufort County for a long time," he said. The program started in 1986. Chuck Lynch is co-leader with Joan Gualdoni of the Riverbend Community Road Warriors - the largest county group. According to Horne, "they pick up the most trash of all groups every single month on Highway 170. Almost 50 bags of litter a month." "Our scientific study, which isn't very scientific," said Lynch, "is about 40 percent of the trash we pick up is trade trash - either plywood, wallboard, plastic wrap from that - that comes off construction trucks and pickups. About 30 percent comes off of trash trucks and 30 percent comes from you and me. We don't see a lot of beer cans and stuff like that, although that's there." Lynch said out of nearly 40 people in his group, anywhere from 14 to 25 people show up early on the first Saturday morning of the month and cover about three miles on both sides of the highway. They had 64 bags last month and did a little more than usual, he said. "Different people show up all the time. It doesn't take that long. I think it's just the idea of volunteering," said Lynch. "I've been doing it since 2004 and Joan's probably been doing the same length of time. Riverbend's been doing it since 1999." He gives credit to some of the other groups that the teams meet when the county gathers them for safety training. "The group in Dataw - they sort their trash and they really are the best group," Lynch said. 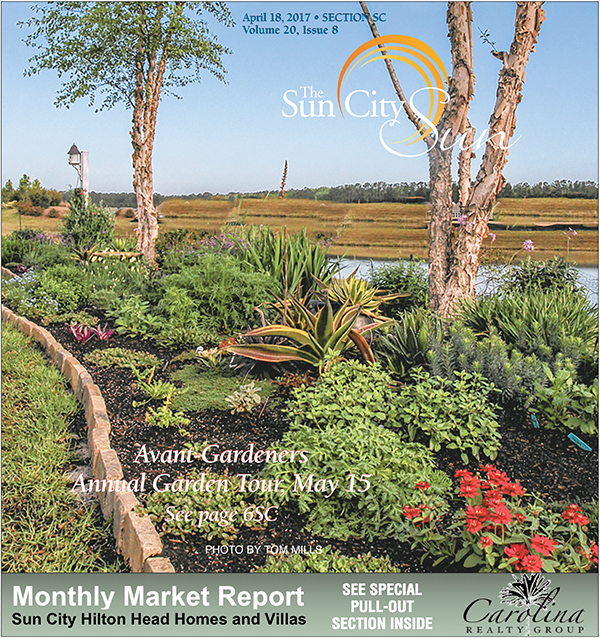 One group recognized recently by the county was the Sun City Veterans Association, which received the 2017 Beaufort County Adopt-a-Highway Group of the Year Award, signed by then-Beaufort County Council Chairman Paul Sommerville in October 2018. The group has been picking up more than 240 bags of litter every year for the past 20 years. About 20 to 30 volunteers regularly clean S.C. 46, S.C. 170 and Gibbet Road. The Road Warriors and others are not on their own in the fight against litter. Seeing a need for litter control, Beaufort County Public Works created the fulltime litter crew in June 2018 to help the everyday volunteers. 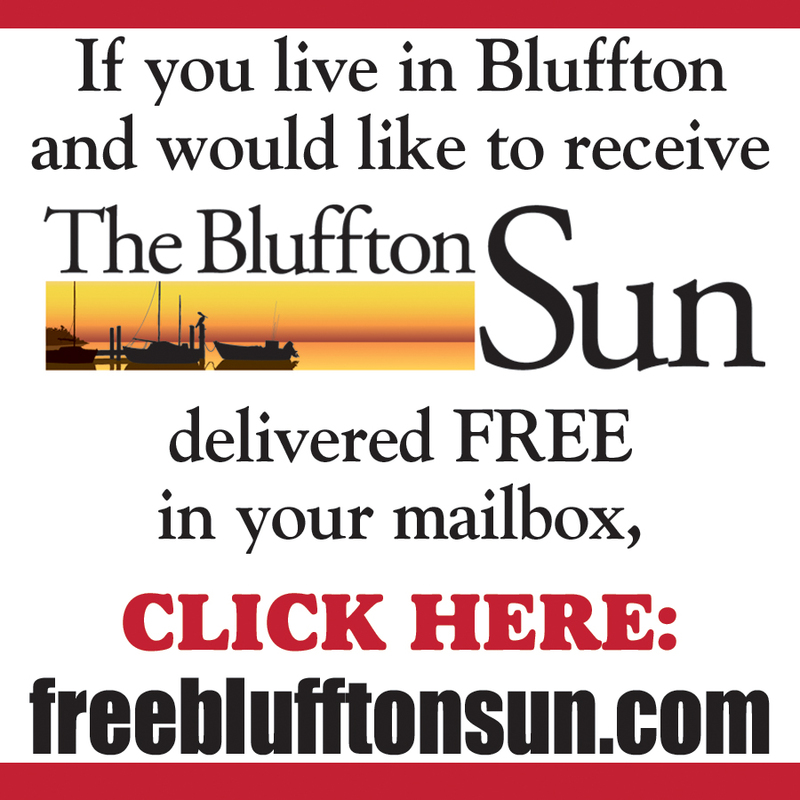 "In 2018, the Beaufort County Litter Control Crew picked up 100,206 pounds of trash collected from roadsides and illegal dumpsites," said Horne. In addition to county workers and volunteers, there are other forces for good at work in the fight against litter. If you drove along state highways on March 14, you saw a small army of people with neon reflective vests and orange bags picking up trash along the highway. According to the enthusiastic receptionist at South Carolina Department of Transportation, that was Palmetto Pride's annual "Spring Spruce-Up." The participants were SCDOT as well as county employees and volunteers doing "spring cleaning" before upcoming major pickup events. 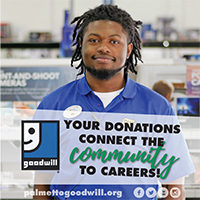 Palmetto Pride is a non-profit organization that works to keep South Carolina beautiful. Its motto is "Litter Trashes Everyone," and that's a saying Horne takes to heart. 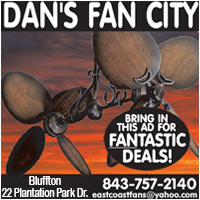 "Litter harms Beaufort County tremendously because we are a coastal town. Many of our roadsides are adjacent to a beautiful marsh or water," said Horne. "Every time an Adopt-a-Highway group, Beaufort County Litter Control or SCDOT picks up litter, we are stopping litter from potentially making it to our waterways." With efforts made by county and community leaders and citizens, the county has set the state standard. "Beaufort County recently won six out of eight awards given state-wide by Palmetto Pride at the 2019 South Carolina Litter Conference," Horne said. One of those awards went to Bluffton resident Randy Boehme as state Volunteer of the Year for his efforts in "creating and protecting a cleaner community and enhancing the beauty of South Carolina." When Boehme moved to Bluffton three years ago, he immediately had a conversation with Mayor Lisa Sulka about the trash along May River Road. Taking the initiative, he started picking up litter (an estimated 500 bags over three years), got more people to help and organized a Keep Bluffton Beautiful road cleanup project. Cleanup is serious business in Bluffton because of the proximity of the May River. 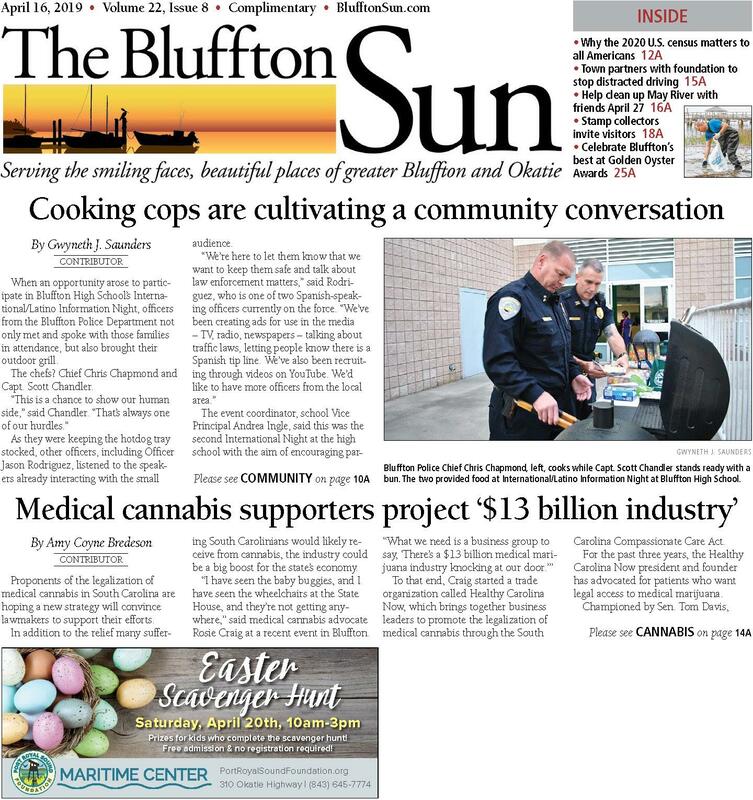 "We are always reminding residents that the May River is Bluffton's most cherished natural resource," said Debbie Szpanka, spokesperson for the Town. "And we remind people to pick up any trash every time you are on and around the river." 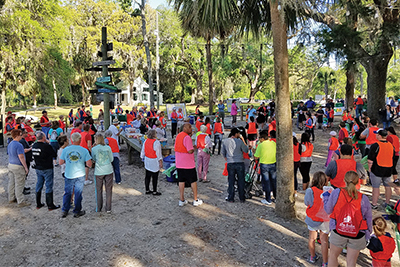 Whether it's yoga and cleanup on the beach, kayaking to capture river trash or walking the highways and byways, there are plenty of events providing ways to help keep those tons of trash off the roads and out of the waterways. A number of local and regional events will be held in observance of Earth Day, which is April 22.